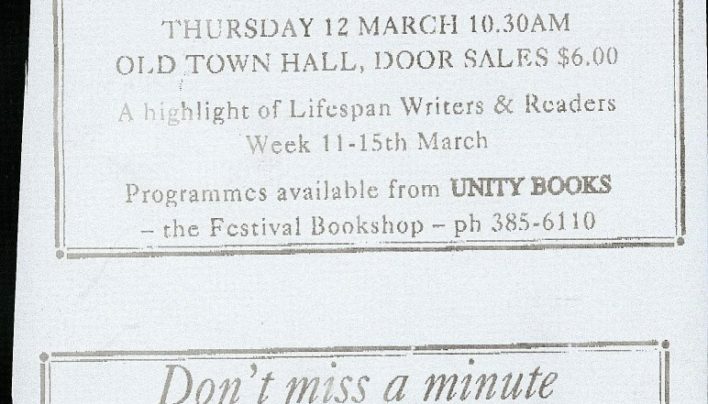 An advertisement for an event with Alice Walker and Keri Hulme, part of Writers & Readers Week. 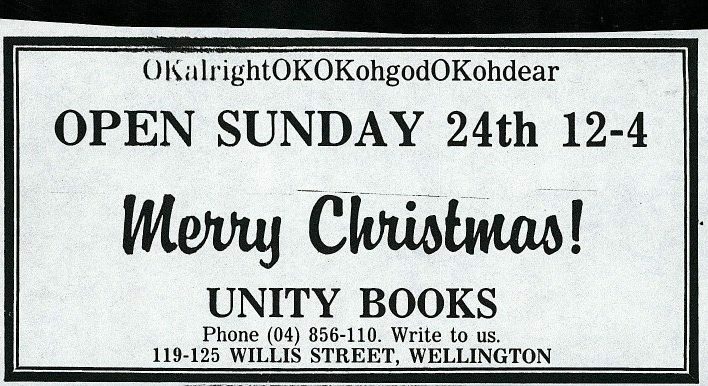 An advertisement for the opening of Unity Books Auckland. 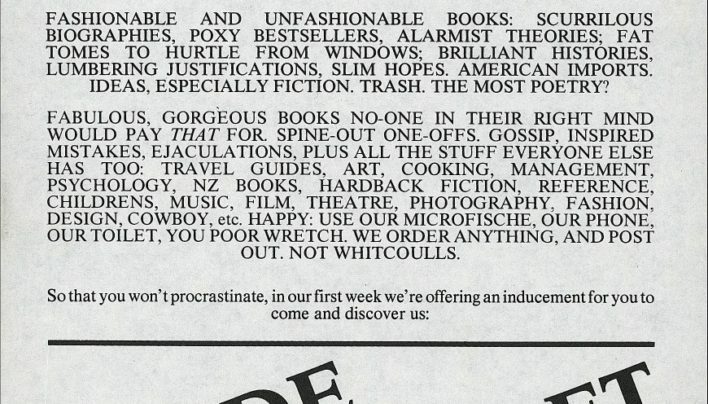 Channeling seasonal tension, this was our Christmas advertisement in 1989. 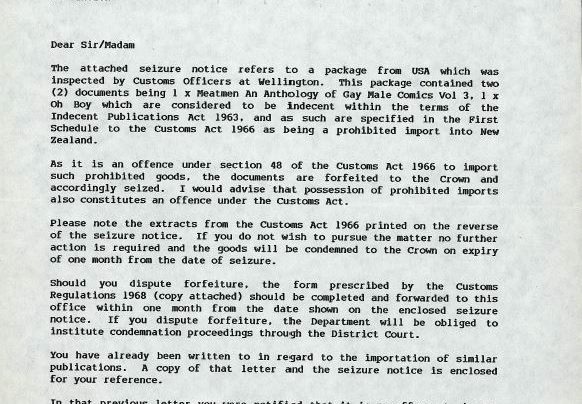 A series of communications from Customs regarding books they seized as they deemed them indecent by the laws of the time. 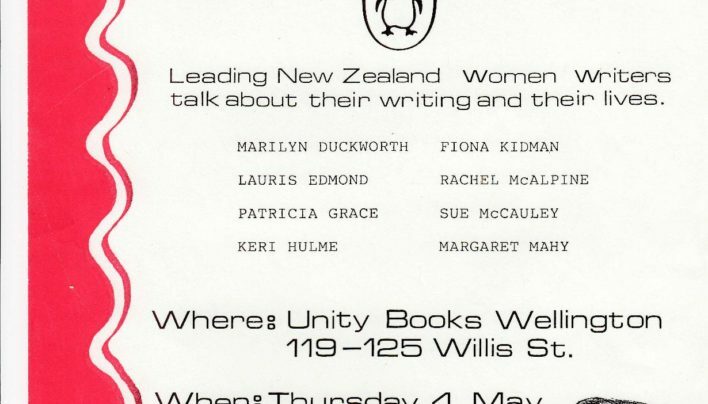 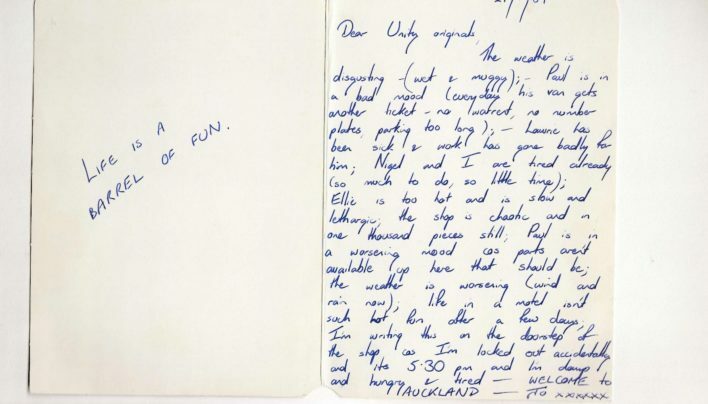 An invitation to the launch for Our Own Country: Leading New Zealand Women Writers talk about their writing and their lives, published by Penguin Books and launched by Sue Kedgley…. 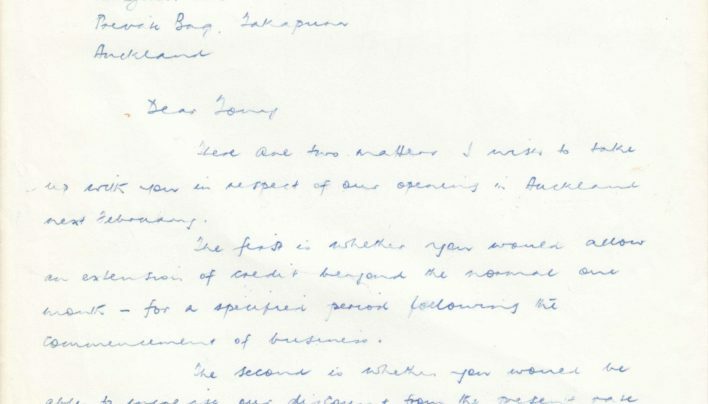 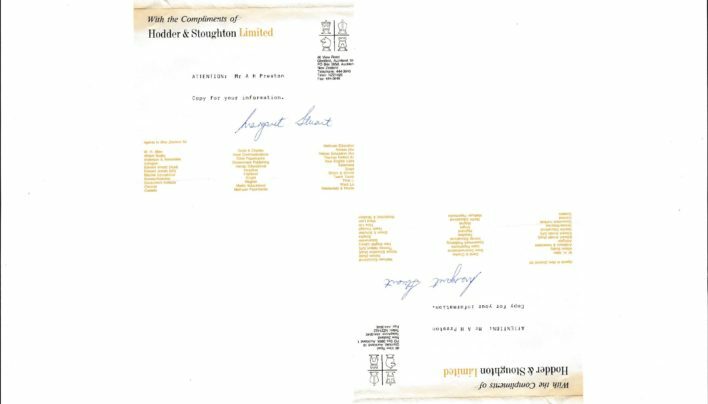 A letter to Jo Harris & Nigel Cox from M L Stuart of Hodder & Stoughton confirming the establishment of a new account, and setting out terms of trade. 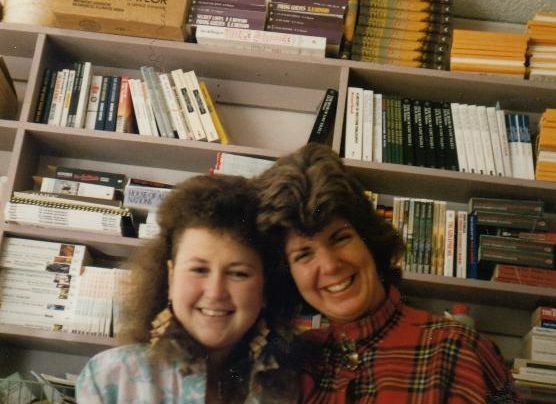 Sue Harris and Claire Ainsworth in the office at Perrett’s Corner. 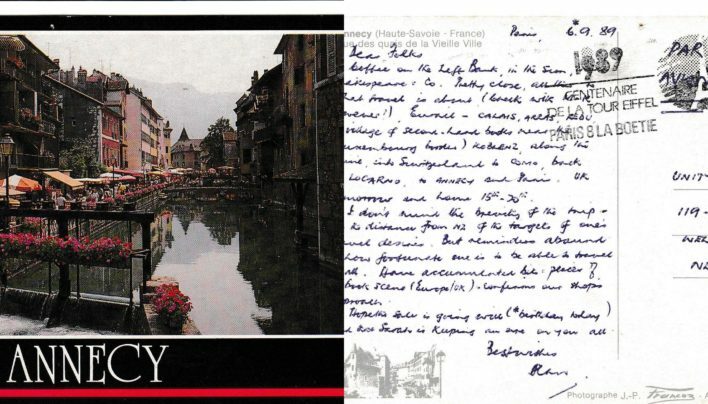 Alan Preston sends a postcard to staff from a rare overseas holiday in France, noting literary sites such as the Left Bank and Shakespeare & Co. Bookshop in Paris.